From I-65 Exit # 205, go south on U S Hwy 31 for 4.0 miles. Take a left on AL Hwy 22 and go 7.7 miles (crossing over the Coosa River) to Coosa Co Rd 121 (Google Maps calls this Co. Rd. 1). Take a left and go 2.8 miles to Eagle Mountain Road. Take a right and go 1.7 miles on this gravel road to the west line of the property. About 200 feet further, look for the Cyprus Partners sign on the right at a dirt road. 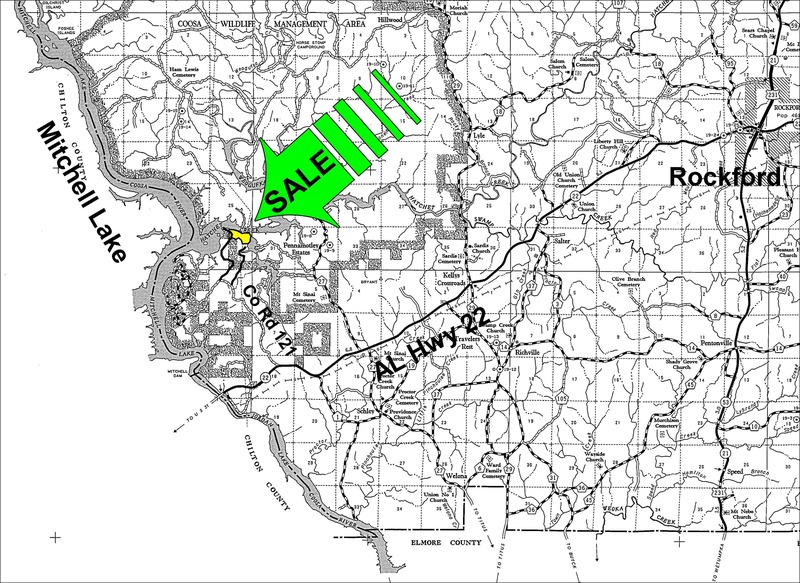 This road is the south line of the 76 acre tract and divides it from the adjacent 78 acre parcel that is also for sale. This dirt road will take you all the way to the north end of the powerline. Use the topo map on the web site as a guide from this point. You are welcome to look on your own or you can set up an appointment. 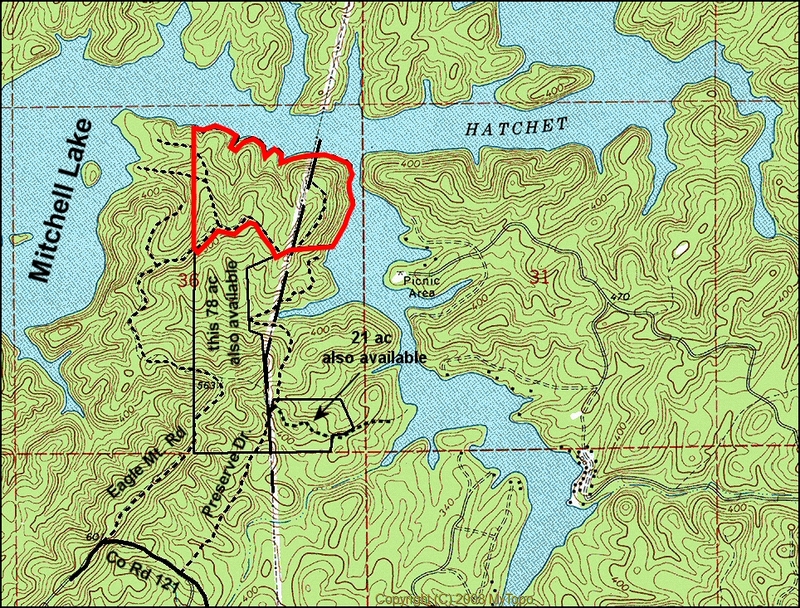 Eagle Mountain Road and the west line of the property intersect at Lat: 32° 50’ 58.1”N. ; Lon: 86° 25’ 51.1” W.